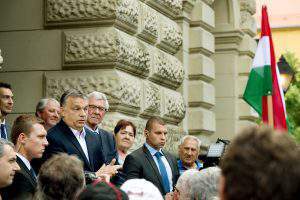 Budapest (MTI) – Opposition parties voiced criticism of Prime Minister Viktor Orbán’s state of the nation address on Friday, saying that he had failed to address Hungary’s problems. 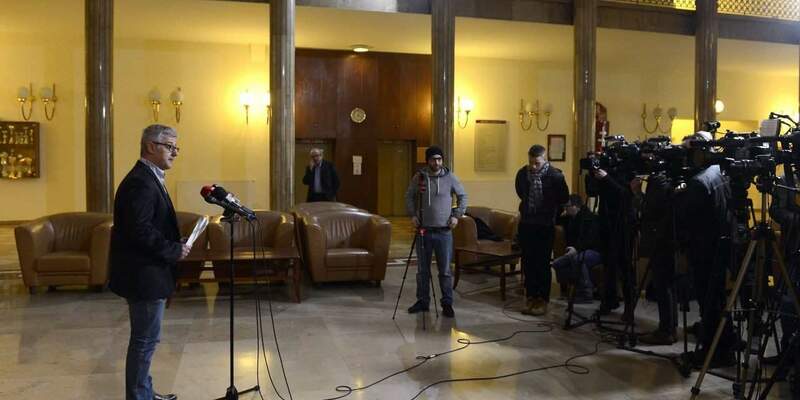 The opposition Jobbik party said that important issues such as corruption and the “smear campaigns” launched against his political opponents were missing from Orbán’s speech. Parliamentary leader János Volner said that Hungary’s economic capacity is fundamentally based on EU funds, money transfers from Hungarians working abroad and the car industry. Volner said the missing private pension funds belie Orbán’s assertion that Hungary’s future is secured. The prime minister carefully avoided speaking about the problems of health care which his government was unable and unwilling to resolve. The same goes for education, which is at an historic low, he said. The opposition Socialists called the prime minister a “coward” for what they said was his failure to face Hungary’s reality. Party spokesman István Nyakó criticised Orbán for not speaking about the problems concerning the public, “the rows snaking in front of soup kitchens” and “the practice of heating the lawns of stadiums instead of family homes”. “Nor did he disclose where he had hidden the profit stemming from the decrease in global gas and electricity prices,” he said. Last year Hungary left the organisation that mobilises its member states against corruption, Nyakó said. Rather than a destination for refugees from Europe, Hungary is a place to flee from as the country fell behind the other Visegrad countries in terms of competitiveness and wages, he said. The leftist Democratic Coalition said Orbán’s speech was “incoherent” and had not even resembled a state of the nation address. The prime minister was supposed to give account of the work of the government, the state of society and lay out a vision for the future, but he did none of this, DK deputy leader Péter Niedermüller told a press conference. He did not even speak about the results of the latest PISA test, which clearly highlighted his government’s failed education policy and with which “they robbed young Hungarians of their futures,” Niedermüller said. He also criticised Orbán for not bringing up corruption, and accused him of “deceiving” and “misleading” the public. While his job would be to give hope and a future to those who are struggling, he only gives these things to the business circles close to him, Niedermüller insisted. Green opposition LMP accused Orbán of deliberately keeping Hungary “weak” so that he could later claim that he is saving the country. “The hell Hungary’s getting stronger,” LMP spokesman József Gál said, arguing that Hungary’s interests were being subordinated to the interests of Russia, Wall Street and Hungarian oligarchs. 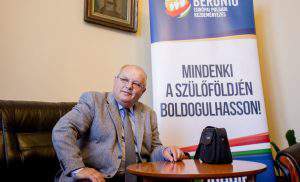 He said the country’s biggest problem was that wages “are growing a lot slower than the bank accounts of Fidesz oligarchs”. 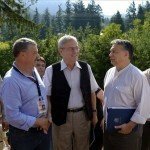 Until this is reversed, Hungary has no future, he insisted. 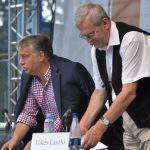 Gál was also critical of Orbán for not mentioning the woes of the education and health sectors. The Liberal Party said Orbán lives “in his own world”, and had failed to address real problems of the country in his address held “in the shadow of barricades and police cordons”. It is “shocking” and “sad” to hear Orbán trying to parade the “total disaster” of more than six years’ government as a success, the party said in a statement.